Start your own gardening adventure in Houston by grabbing our free Four Seasons download. Gardens made of natural wood provide a warm background to the kitchen garden and will last for years. Kitchen gardens become an extension of your home when constructed with stone or brick. Steel gardens add unique and enduring character to the landscape and require the smallest footprint. 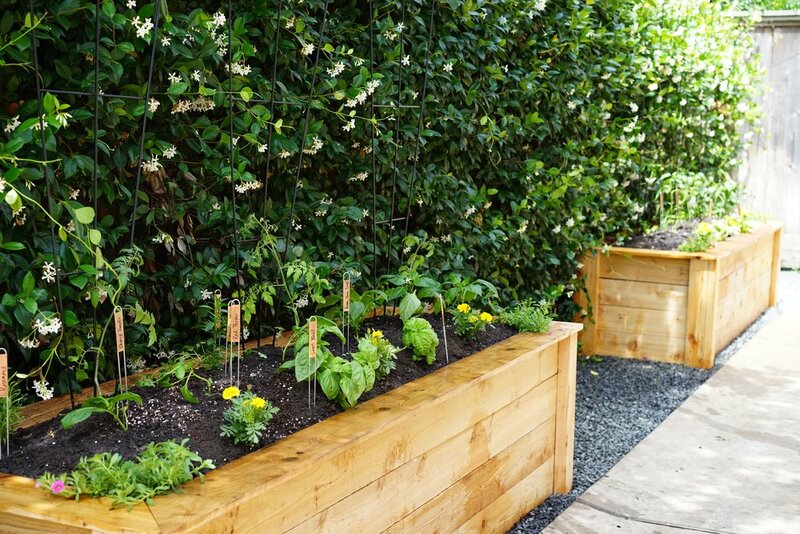 Natural wood raised gardens are the quintessential backdrop for a kitchen garden. Built to last up to ten years, wood gardens will provide season after season of delicious and natural harvests. 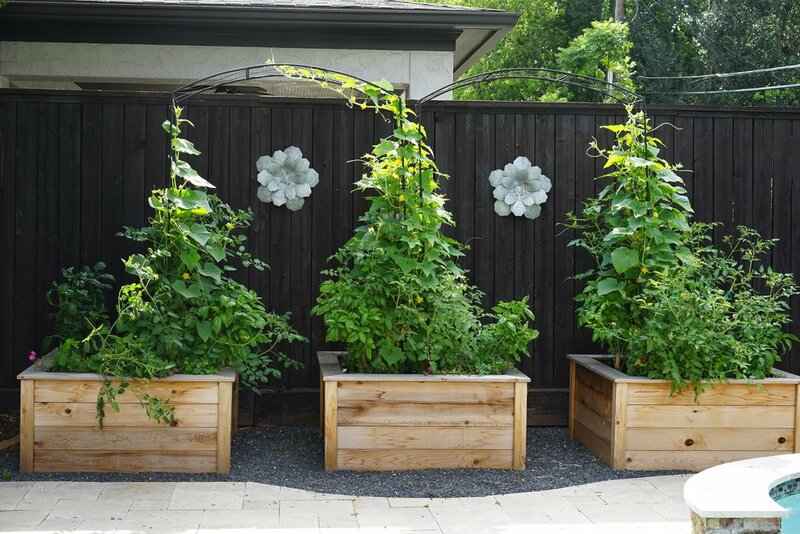 ROOTED GARDEN provides custom made cedar gardens for turnkey clients and cedar garden kits for DIY clients. Steel gardens provide a sophisticated look. Built to last and with a small footprint, steel gardens can fit in almost any landscape. Created as an extension of the house itself, stone & brick kitchen gardens are the new landscape must-have. Designed to last for decades and grow baskets-full of herbs and vegetables, stone gardens will provide one harvest after another. Learn ALL THE THINGS about the kitchen garden with personal workshops. ROOTED GARDEN provides on-site workshops and works with GARDENARY to provide online workshops and classes, available anywhere.